Red clover is a summer time staple. When the weather begins to warm up, you'll see the bright purple to red flowers sprouting sporadically through the blades of grass. 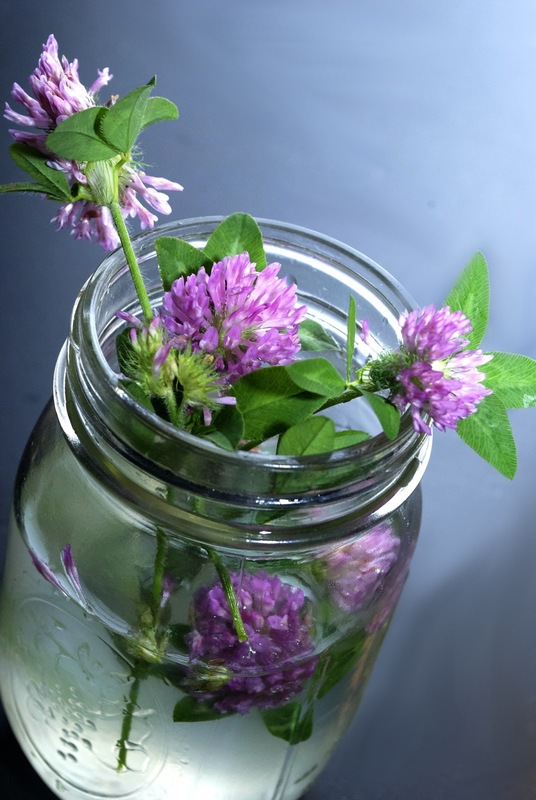 Clover is not only edible, but quite delicious and refreshing. Upon tasting, it immediately brings to mind the sweet floral attributes of melon. Luckily, their seasons align perfectly. The local melons are ripe and ready for the taking. I picked up both a cantaloup and honeydew from the nearby farm stand. 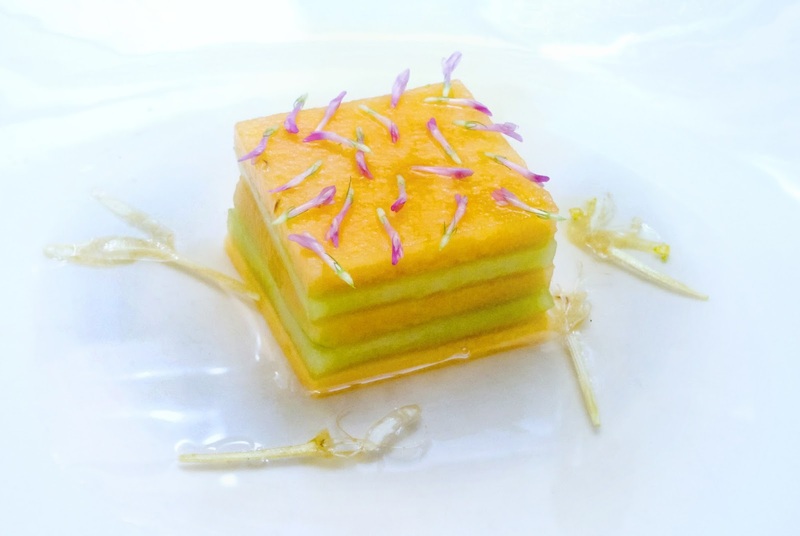 The cantaloup was sliced and marinated with clover and honey. The honeydew was cured with a little sea salt for several hours. It lost some of it's juices and took an a slightly meaty texture. The different melons were stacked and garnished with fresh petals. A quick clean broth was made from clarified melon juice, bruised honey suckle petals, and verjus. The dish was light, refreshing, and a perfect cross section of summer's bounty. A confirmed success for the pairing of these two unlikely ingredients.